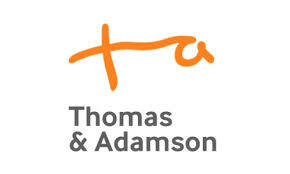 Construction and property consultancy Thomas & Adamson (T&A) has been appointed as principal designer on two new projects in Edinburgh and East Lothian. The first has seen T&A monitor the safe installation of the Edinburgh City Christmas lights and Christmas tree on The Mound. This is the fourth consecutive year that the company has overseen the Christmas lighting project to ensure that the installation was properly planned and monitored to guarantee the safety of the general public and the contractors involved. The company has also been appointed by the Convener of St Mary’s Collegiate Church, Haddington as principal designer for a project at the 14th Century, Grade “A” Church. The plan will see the internal lighting, lighting wiring and controls replaced, with T&A responsible for ensuring that the installation of the new lighting can be carried out safely by the appointed contractor. The work at St Mary’s will be carried out in phases to accommodate the continual use of the church during the re-lighting, with a planned end-date for June 2019. Work on the Edinburgh City Christmas Lights is underway, with the lighting and Christmas tree installed and set to be removed in February 2019. Clive Wilmott, senior safety consultant at Thomas & Adamson, said: “We’re excited to be selected again to work on two fantastic projects. The Edinburgh Christmas lights and tree will, as always, be a focal point of the city during the holidays, and it’s a privilege for us to help ensure the safe enjoyment of this festive highlight. “Having also previously worked on a project at St. Mary’s Church, we know how treasured it is as a landmark in Haddington. We are hugely appreciative of the opportunity to help usher in a new era for the Listed site by overseeing the safe replacement of its lighting.